When I requested this I could see it was first in a series, but of course there’s a gap between that and getting approval, and then getting the book onto my kindle. Once there the title just comes up as Long Shadows. 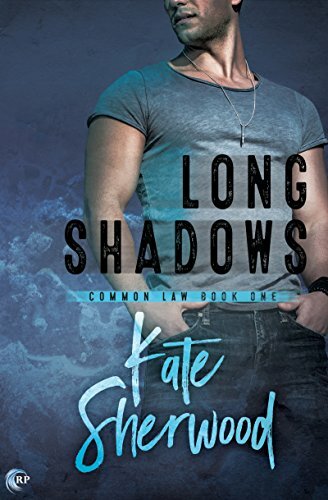 Having enjoyed a couple of Kate’s past novels which were stand alone I assumed this was also, so was disappointed at the lack of a HEA, lack of any real romance here. Then….I came to write my review and saw its book one in a series, and that puts a whole different slant on it – I understand now the slow burn of the romance, why Jericho and Wade barely touched, though it was clear both wanted more, much more. I understand why the ending was a kind of possibilities in the future style. It all makes sense now and I feel totally different. I was happy with the story, happy at the suspense/mystery angle but had felt let down by the missing romance, but now of course the context is much better, everything slots into place and I’m keen to read book two and onwards. Funny isn’t it how perception and expectation can change how we view a story?Its the same words I’ve just read, but instead of feeling kind of 3.5 to 4 about it now its a 5 for me. So we meet Jericho and Wade, one each side of the Law. Close as kids, closer as teens til Jericho left at 17, and hasn’t been back since. Neither had a great home life and it feels like they were each others support and when they parted it wasn’t on good terms. That’s kind of implied, we don’t really know yet why Wade didn’t leave, why they didn’t keep in touch having been so close. Jericho has gone on to work in LA as a cop, Wade has stayed behind running several businesses that skirt the law, making a success of them but its clear everyone assumes – and he lets them – that its mainly down to shady dealing and dodgy work. I really liked both of these guys, loved the way we could feel the pull between them, the underlying sexual tension. Making up the third main character is Kayla, now the Sheriff after her dad’s retirement, and a former good friend to the lads, lover of Jericho. The three were always together, Jericho thought that was because they all got along, he’s shocked to discover Kayla and Wade only put up with each other because of the way they feel about Jericho. There’s a tale unfolding here that not only covers the mystery of Jericho’s dad and his newly discovered half siblings, but which brings the trio back together, reluctantly working and sharing information to find the missing kids. Its all part of a wider story that will be revealed in further books, and I want to read those and see if Wade and Jericho reconnect – or perhaps Jericho and Kayla will reconnect – or maybe all of them…who knows? Its certainly left open, though I don’t feel the same connection between Jericho and Kayla as I do with him and Wade. Stars: Five, a book I really enjoyed, especially now I know its part of a series and there’s more to come from the story.